It's been at the top of our social media newsfeeds almost every day in February: We've deemed the winter of 2015 is the craziest, coldest, snowiest, crispest, wind-chilliest, nuttiest, frozenest (not a word), intensest, kookiest, briskest, bleakest, iciest, snow plow-i-est winter in the history of time immemorial! To watch CNN, The Weather Channel, etc., is to find oneself inundated with stories of a snowpocalypse the likes of which rival the imaginations of end times prophets. And while that's great for selling advertising slots (who doesn't love a good snowmageddon), it doesn't do much to inspire the flip-side of the winter '15 coin. Mother Nature is a crafty artist, and alongside bone-chilling temps and burying the city of Boston beneath a pillow of white, she's turned the Great Lakes (the largest continuous body of freshwater on Earth) and surrounding states into a once-in-a-decade icy wonderland/sub-zero playground. The amount of energy extracted in freezing portions of one of the world's three greatest waterfalls boggles the mind. 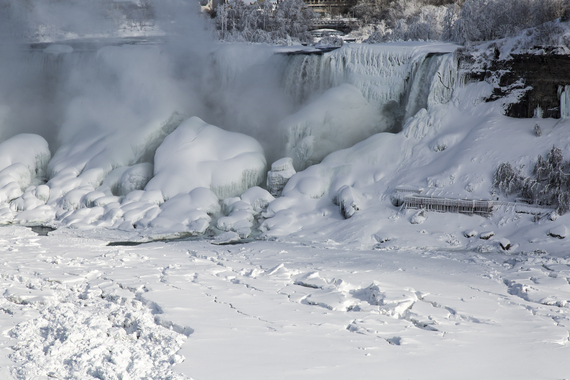 But there it is, segments of the American Falls (and columns of the Horseshoe Falls) frozen in time, literally. The flow hasn't ceased, that would require a climactic event larger than snowmaggedon, but the facade has been massively transformed by ice forming anywhere and everywhere the flow has allowed. Tourists have been flocking to Niagara to see the formations with their own eyes. 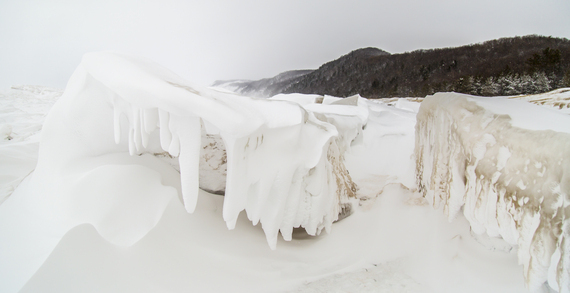 Niagara isn't the only waterfall in the Great Lakes States; frozen curtains of "falling" ice can be found throughout the Northeast. Munising Falls is one of the premiere attractions of Pictured Rocks National Lakeshore on Michigan's section of Lake Superior. In a normal summer the water falls over a 50-foot sandstone drop at an excited trickle (not a gushing torrent), but a solid winter freeze turns the falls into a massive column of ice. Ice climbing is forbidden at Munising, however there are other sites within Pictured Rocks helping to fuel the ice-climbing phenomenon. February in the Northeast tends to spark a lot of beach talk: "I wish I were at the beach...," "If only I was on the beach...." My response is to suggest going to your nearest beach on the next sunny day! The lakeshore beaches of Michigan, Huron and Superior have been transformed by winter weather, arctic blasts and the power of physics. Bring your camera! 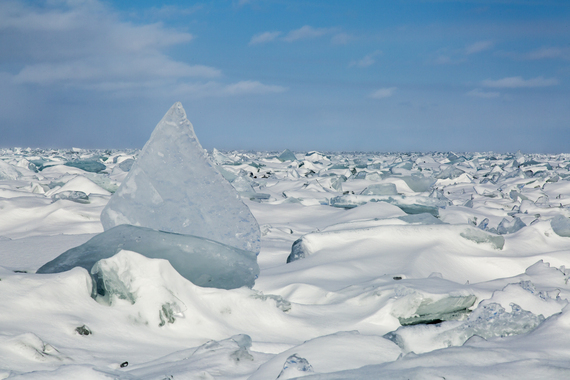 As winter progresses, sheets of ice form near the shallower coasts of the Great Lakes. Storms and blowing winds transfer energy from the atmosphere to the unfrozen centers of the lakes, creating waves which can rip the ice up, tossing it here and there. Refreezing cements the ice back into place. 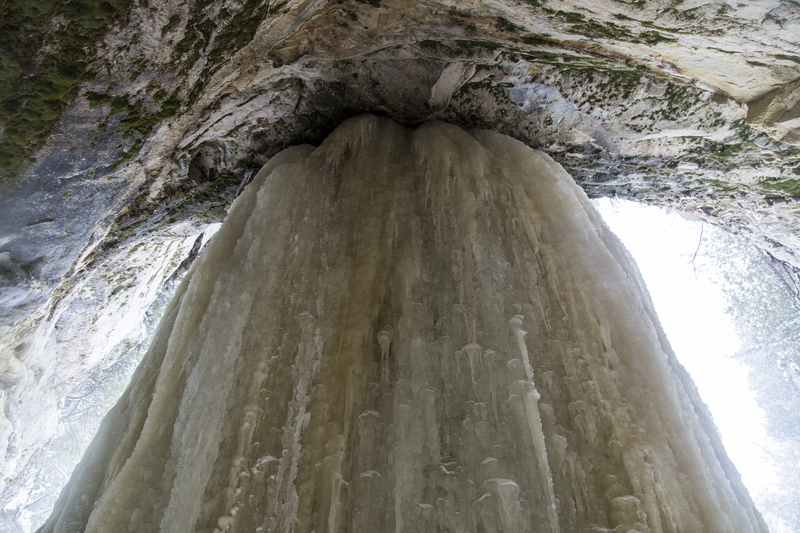 By repeating this process several times over, Mother Nature has created some incredible natural ice sculptures, caves, tiers and formations. 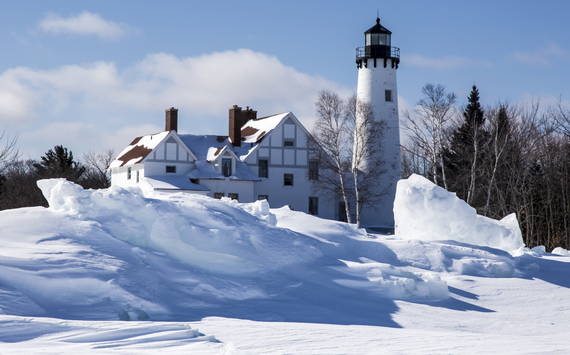 A short walk across the beach at Fisherman's Island State Park in Michigan brings you to miles of "Ice Art." Think of it as a limited time free exhibition of fragile art, by an artist who's going to melt it all down in a matter of weeks. A rare and precious event on the shoreline ice of the Northern Great Lakes is the formation of an ice cave. My find on Lake Michigan, outside the town of Charlevoix, was more like a half eaten ice donut, but still impressive. 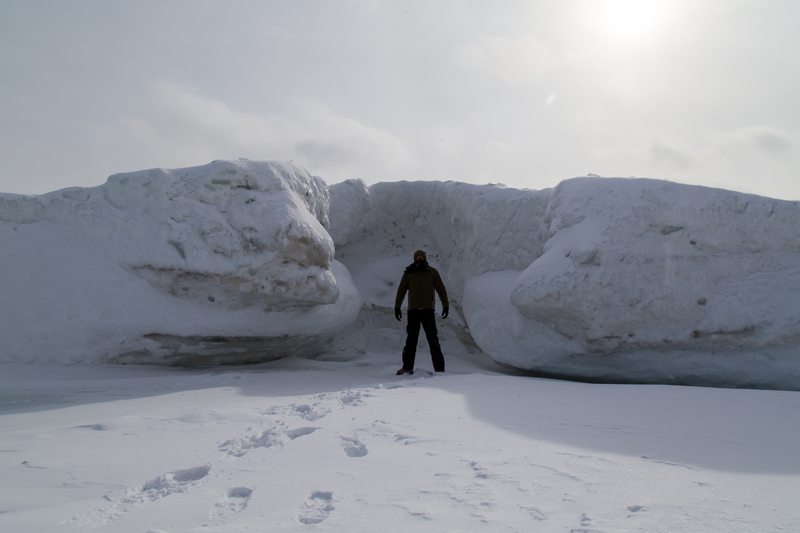 When a full-on cave of solid ice is found, word travels fast among the locals, so just ask around. 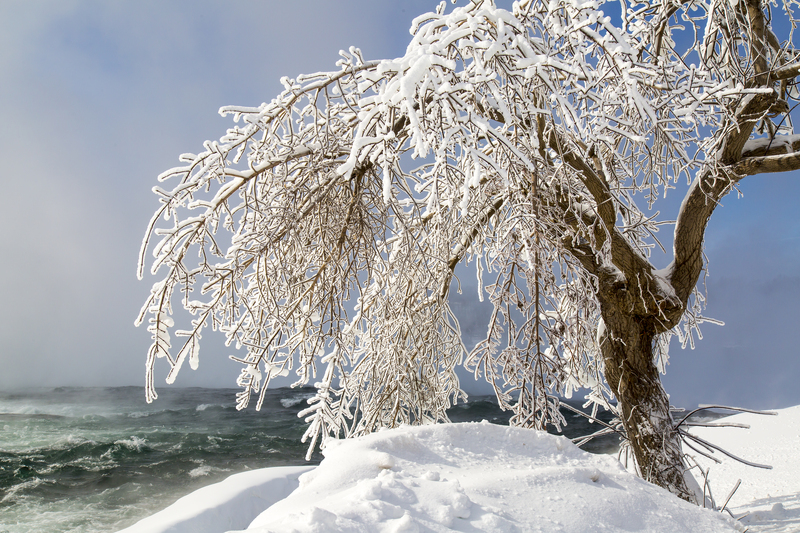 It's not every year that the Great Lakes freeze over, in fact it's not actually a common occurrence (except for Lake Erie, which is the shallowest of the five lakes). It requires just the right conditions and a very specific type of winter. 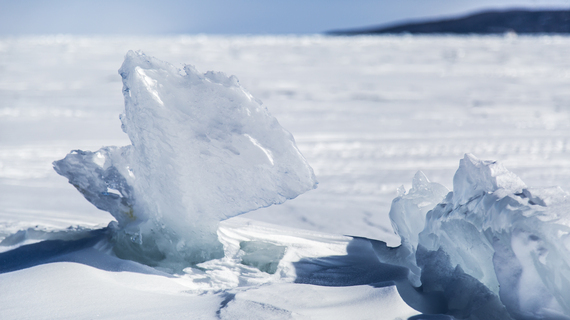 As of this moment, the National Oceanic and Atmospheric Administration (NOAA) lists the ice coverage of all five lakes at 85 percent. That's still just under 10 percent shy of the all time record (during the years of record keeping) from 1979 -- 94.7 percent ice coverage. There's just something about ice that fascinates and intrigues. Have you ever caught someone at a party just staring at an ice sculpture under an apparent hypnosis? When water freezes it unleashes the physical magic of hydrogen bonding into crazy crystalline creations. 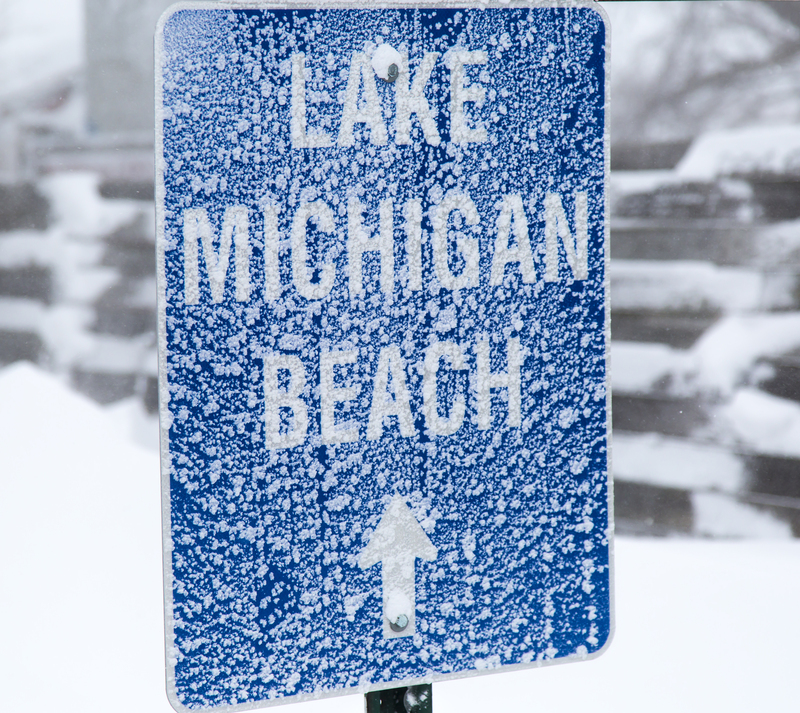 But maybe ice isn't your thing; that's no reason to remain inside during winter wonderland. 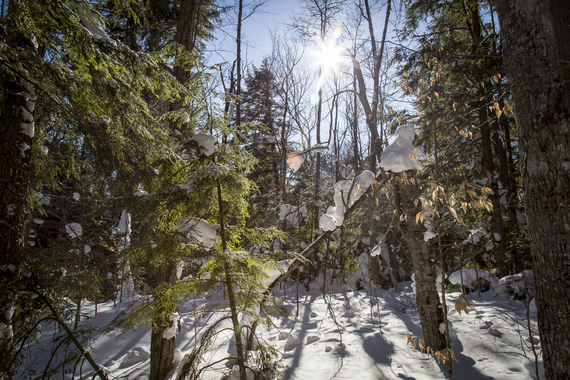 State and National Parks in the snowiest snow belts around the Great Lakes let Mother Nature transform their hiking trails into cross country ski and snowshoe trails. 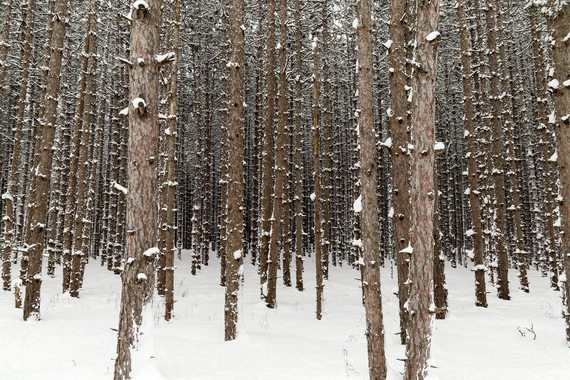 Natural features, like this grove of evergreens in Michigan's Sleeping Bear Dunes National Lakeshore, express an entirely different character when you add a touch a white. Winter at Sleeping Bear Dunes also presents unique opportunities for activities you just invent yourself, like challenging your friends to a dune climb in a combination of sand and snow (and sledding down the snow/sand dune once you get to the top). 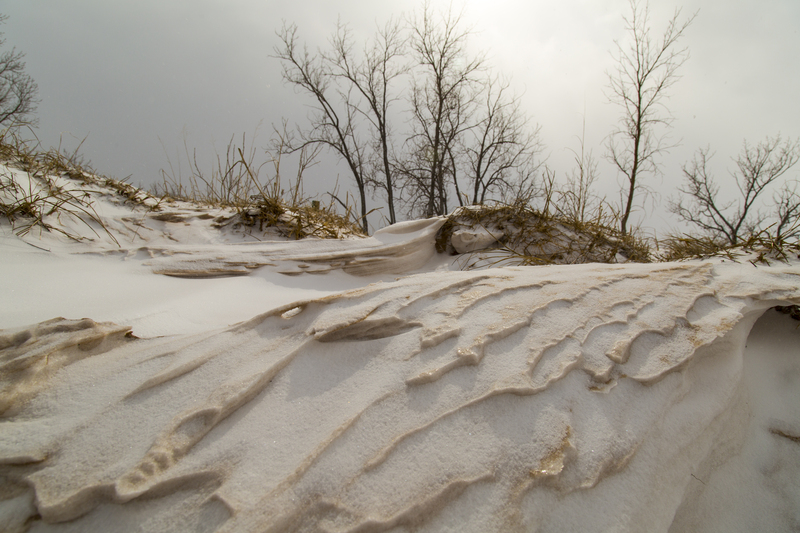 As visitors criss-cross the wintertime dunes their footprints become frozen in the landscape of sand, snow, and ice. ... then you're in for a photogenic treat. Michigan alone has over 100 lighthouses on the Great Lakes, and as the shores freeze up, these historical structures go from guiding ships, to modeling for wintertime photo shoots. 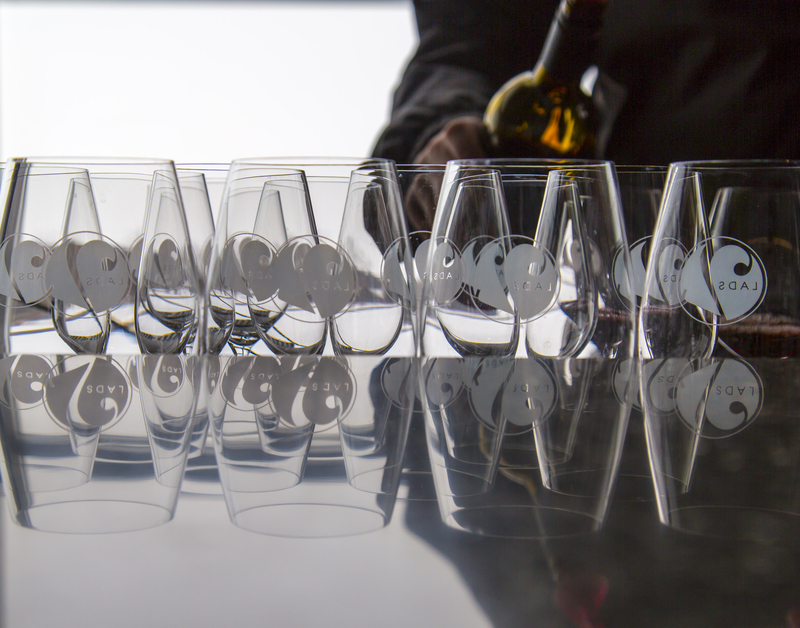 Michigan also has the "fingers" of the Leelanau and Old Mission Peninsulas, home to dozens of cold climate wineries. 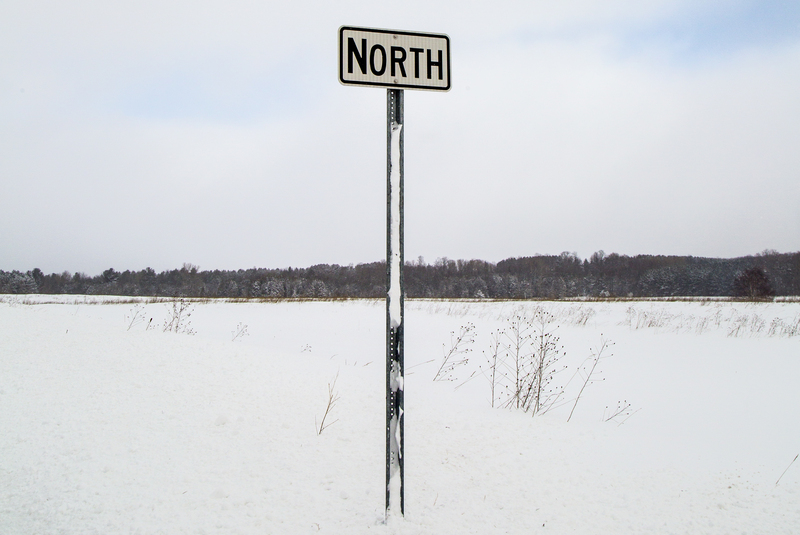 At the 45th parallel, these wine regions sit at the exact halfway point between the Equator and the North Pole. When you're done hunting for ice caves you can stop by to warm your spirits with hardy Chardonnays and crisp Pinot Noirs. Winter can be so unpredictable, and we've become used to fearing its unknown icy factors. 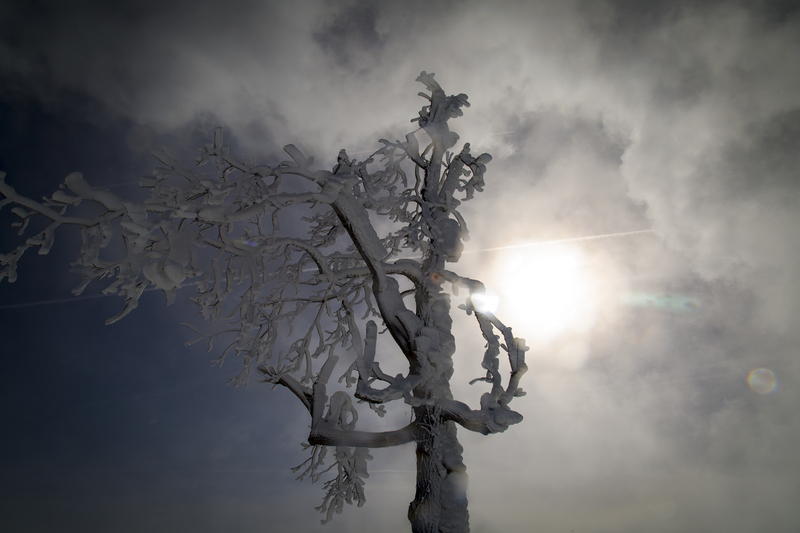 Sometimes we forget to embrace the elements of super strong winters that are amazing and unique. But to sample these once a season specials you need to get outside and explore. Slap on some warm clothes and go on an adventure. Just being on the hike in the woods in the winter has several health benefits. The combination of cold weather and walking in multiple layers of clothing burns significantly more calories than laying around the summertime beach in a bikini. And both seasons are good for helping your body make Vitamin D (sun is sun), keeping your mood up during times with less daylight. For super serious outdoor winter enthusiasts there's always an old standby I remember from my childhood: ice fishing. My father took me out on the ice each and every winter (I grew up within a stone's throw of Lake Ontario and Oneida Lake), but we didn't have the more fancy structures you see out on the ice these days to keep the fishermen tucked snugly inside a protective box (that's what you see in this photograph in case you were unsure.) 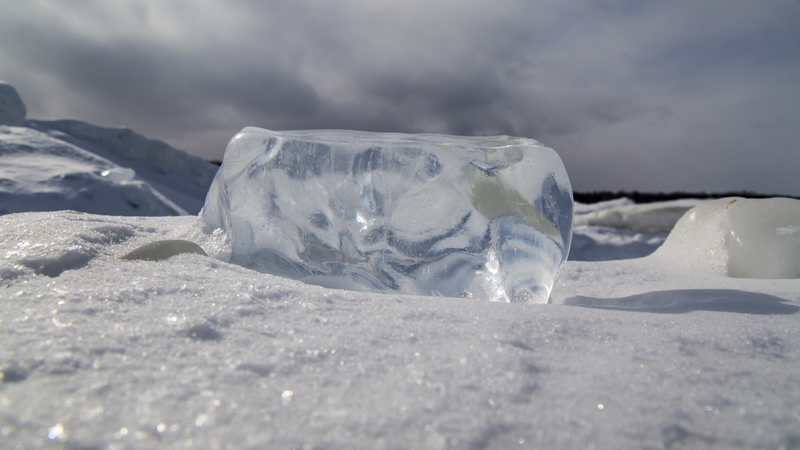 I'll save the particulars of ice fishing for another article (it's more than just drilling a hole in the ice and dropping down a line -- it was always my job to scoop newborn ice out of the hole to keep it from freezing over while we were fishing). 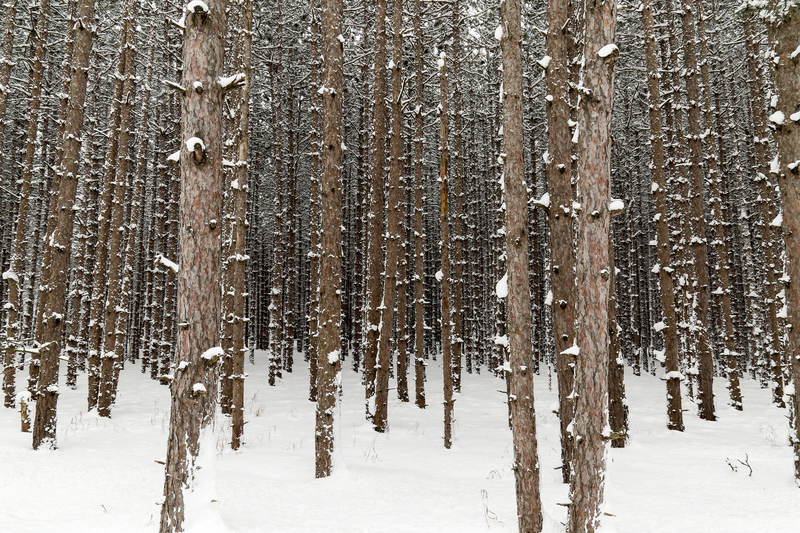 In the Northeast we take winter for granted, but imagine a world without it. Full-blown winter is a function of the Earth's off axis tilt, a gift to the temperate Northern and Southern Hemispheres. But those who grow up living their entire lives in the low-altitude tropics have never even seen a single snowflake, let alone had the pleasure of shoveling a driveway. Think about that the next time you count the icicles on your eaves. Much to-do is made over folks heading south, heading for warmer climes and sandier beaches (beaches without ice). However there are plenty of outdoor adventurers who make the trek in reverse. Let's celebrate winter and winter activities. 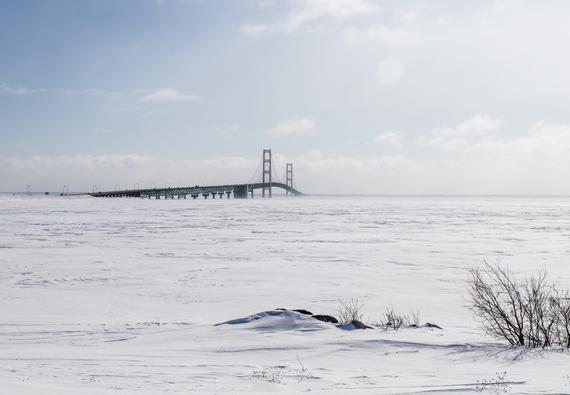 Photographs taken by Kevin Richberg during the last two weeks in February 2015 in the States and Provinces along the Great Lakes.